One year after the ditching of US Airways flight 1549 in the Hudson River, the NTSB investigation is still ongoing. While the investigation may not be completed for several months, there is a large amount of information from the investigation that is available for the public to review. 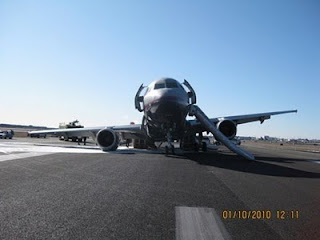 The NTSB information page on last June's public meeting about the accident has links to past NTSB press releases, and links to transcripts and videos from the three day public hearing. Additional information on the accident is available at the NTSB's public docket for this investigation. If you ever had a question about military plane crashes featuring the use of an ejection seat, then Project Get Out and Walk is worth a visit. The site is an illustrated history of assisted aircrew escape system and has a database of all known ejections and bailouts, with ejections listed by year, country, and aircraft. 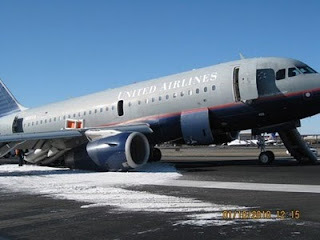 On January 10th, a United Airlines Airbus A319 (N816UA, flight 634)was damaged when it landed at Newark's Liberty International Airport with its right hand main landing gear retracted. 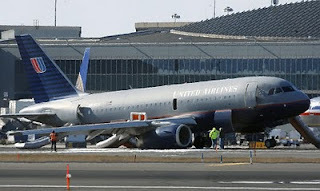 The aircraft was on a scheduled flight from Chicago's O'Hare airport, to Newark, and the flight was normal until approach, when the crew experienced problems with lowering the landing gear. 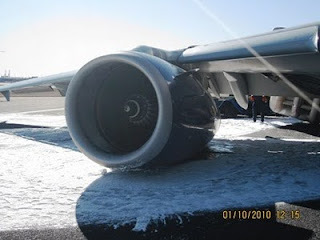 The crew carried out a missed approach, and later landed with the right main gear retracted and came to rest on the runway, damaging the right engine and the underside of the aircraft. All 48 passengers and five crew members evacuated using the emergency slides and there were no major injuries. 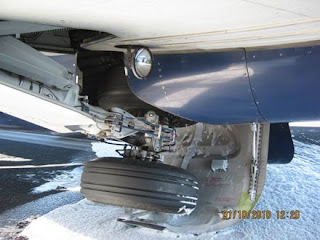 Below are several photos of the damaged aircraft, plus a video of the actual landing taken from the cockpit of another aircraft. Why did UA dispatch & PANYNJ Airports allow a suspect landing at a high traffic destination, rather than div the flt to KSWF. SWF is only 60 od miles from the city, less to EWR? UA spanners & equipment could have been shipped pretty darn smartish up 87 do you not think ? Rather than disrupting traffic at EWR !